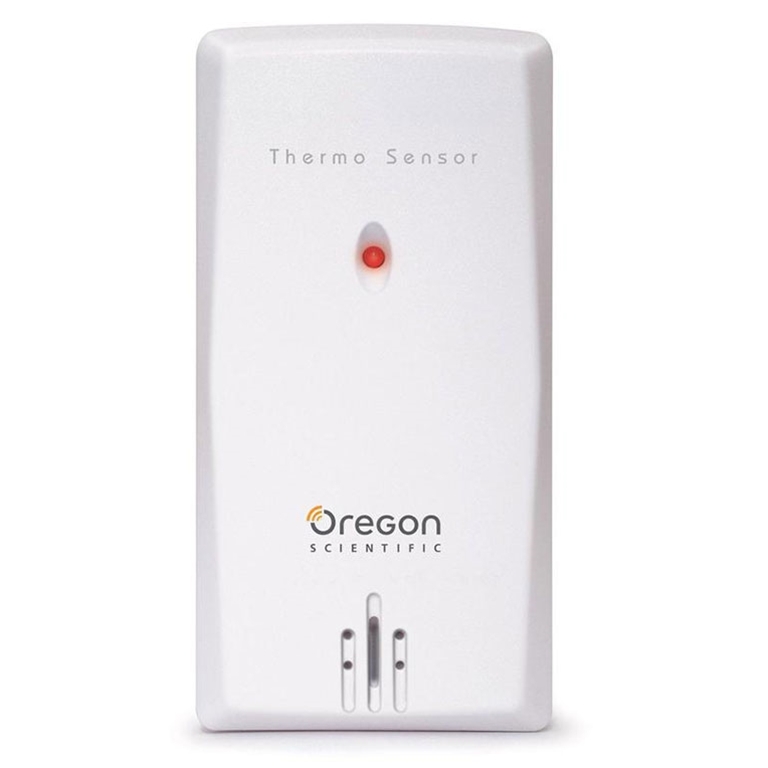 Oregon Scientific THN132N Wireless Temperature Sensor - Not In Retail Packaging is a low-cost thermo sensor with a water-resistant casing and a battery cover that's easy to slip on and off. Can be set to one of three different channels. Red LED light notifies when data transmission has been sent.